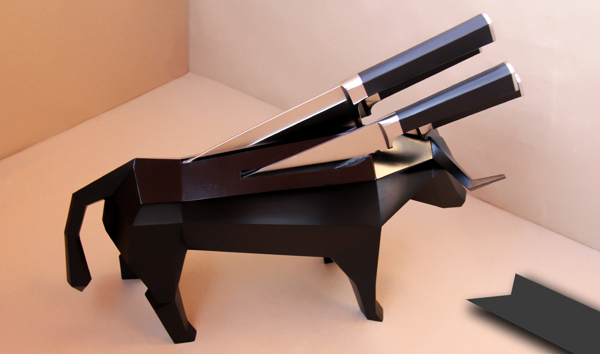 “Only Right Here” is a piece created by Alan Saga, industrial designer from Monterrey, Mexico. 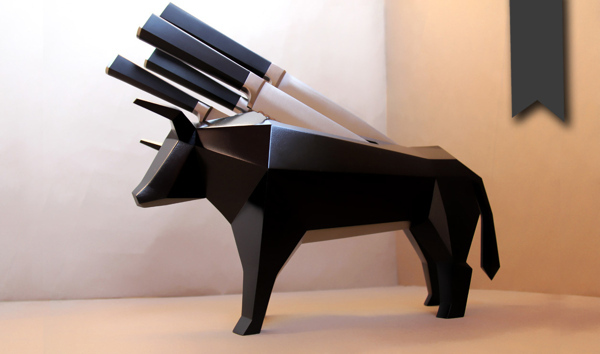 The product´s concept lies in the fusion of bullfighting and a kitchenware. It’s derived of a thorough analysis of Mexican and international cultural mores. 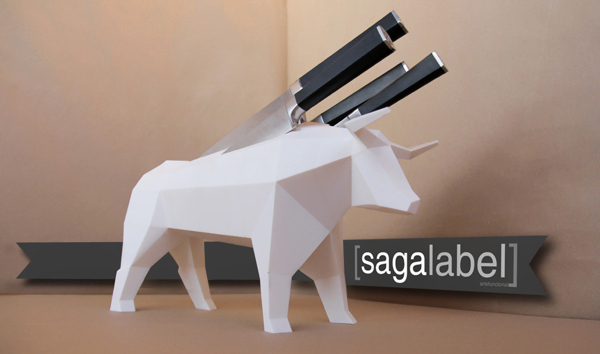 Designer Alan Saga about project: ” Since the twelfth century the first bullfights were documented as an act or public spectacle. Today consciousness awakening of people is a fact that fills me with joy, as it is a symptom of an overall global assessment, being partakers of the divine nature, we are a whole. This art-object symbolizes a new era, where there will be an extinction of aggressive activities, being embodied in what once was a cultural feast, and the great evolutionary step on a humanistic level. Finally is not only about bulls, but about any race or being, that every day they demonstrate with facts that they feel, and above all an amazing loyalty, despite of following their instincts.